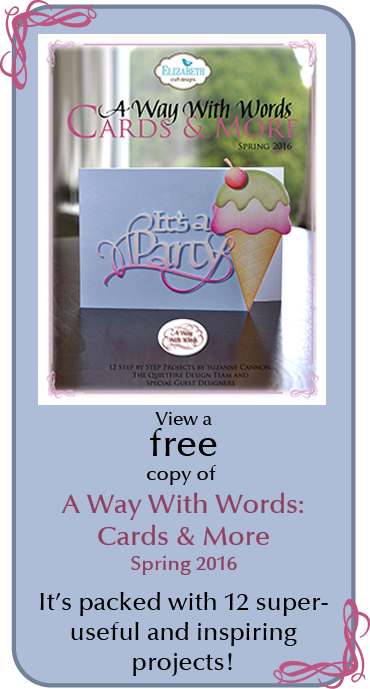 Diana here and I'm so excited to share the cards I made with the new word dies that I have two cards to show today. The first one fits in a business envelope perfectly and was done with just a few items. I first sponged a leafy sprig using a Heidi Swapp bird stencil with some Distress Ink Black Soot. I then die cut the Thinking of You (at Elizabeth Craft Designs and at Quietfire Design) dies 7 times with different card stocks: white, red, orange, yellow, green, blue, and violet. I carefully glued each die together in ROYGBV order. It gave my dies dimension and the side view is pretty neat too! To pull in the colors a bit more, I added some tiny rhinestones. For my second card, I took a simple A2 card base and cut an inch strip off. I then glued the very top edge and bottom edge of the Friends die (at Elizabeth Craft Designs and at Quietfire Design) to adhere the pieces together. It left a gap to see the inside of the card where I glued a strip of Shimmer Sheetz. 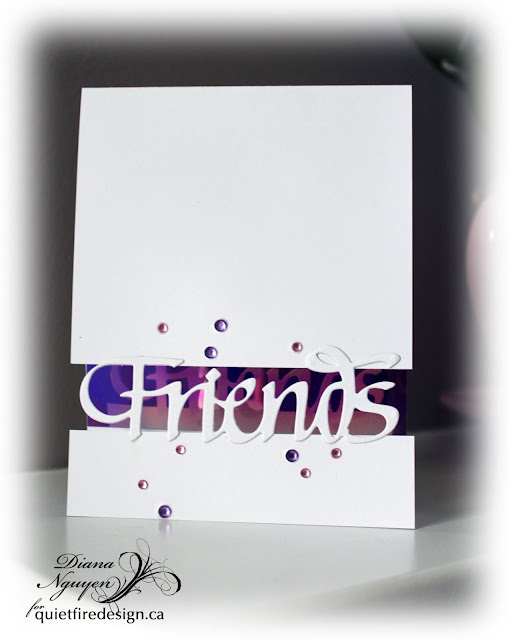 A bit more rhinestones to go with the sparkle and mirror effect and the card is done. 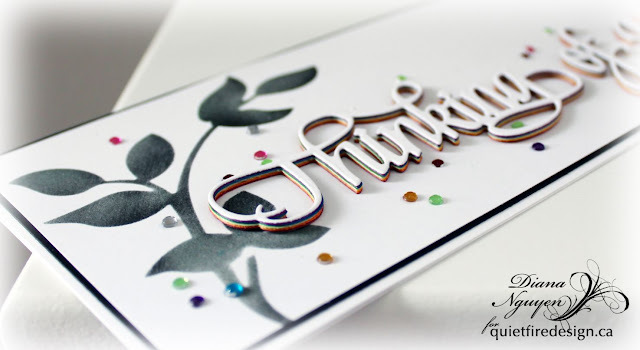 Hope you liked the cards and that it gave you some new ways to use these fabulous word dies! Diana, wonderful ideas. I love these "rainbow" type cards! They pack a lot of punch for their CAS style. Can't wait to get mine! Love the layering! Great cards Diana! Especially like the Thinking of You card. The MORE I see, the MORE I NEED them!! !